Rukiya is a tranquil place offering guests a simple sense of luxury in an intimate, eco-aware camp overlooking a river bustling with wildlife. 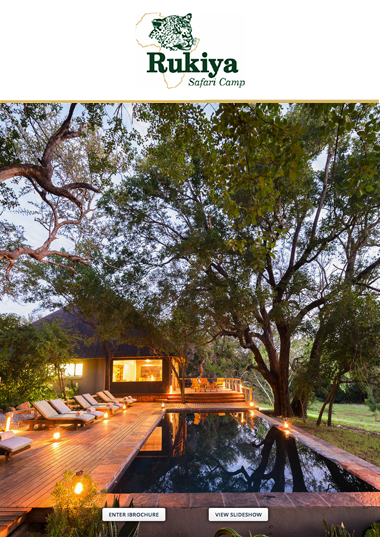 Rukiya Safari Camp is located in the Wild Rivers Nature Reserve in the greater Kruger region of South Africa. It is an intimate, tented camp built beneath old riverine trees on the banks of the Blyde River. 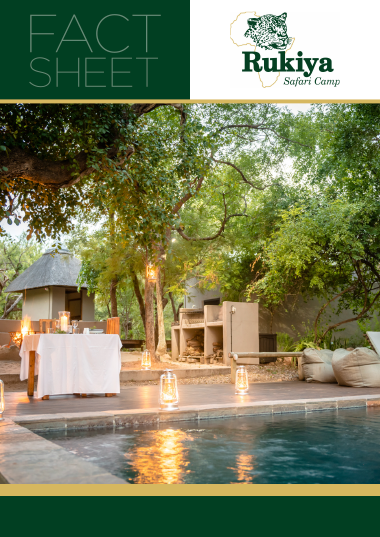 It is an low impact camp with environmentally friendly construction, beautifully reused timber for decking and furniture, and light canvas for the tents. There are 6 canvas tented rooms built on timber decking and elevated off the ground overlooking the Blyde River, which flows in front of the camp. Décor is simple, stylish and in tune with the natural ambience of the camp. Wooden walkways lead the path from the tents to the main camp area, which houses an infinity pool, boma, large balcony and canvas lodge area. 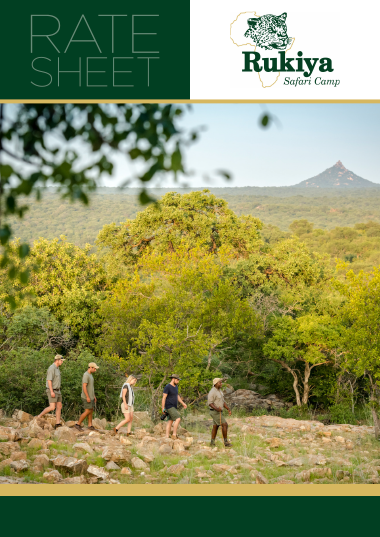 Safari activities include Big 5 game drives and pre-arranged bush walks, while there is a host of activities in and around the nearby town of Hoedspruit. Rukiya Safari Camp is located in the Wild Rivers Private Nature Reserve about 10km outside Hoedspruit in the Greater Kruger region of Limpopo. Wild Rivers is a 3000-hectare area forming part of the 12000-hectare Blyde Olifants Conservancy. 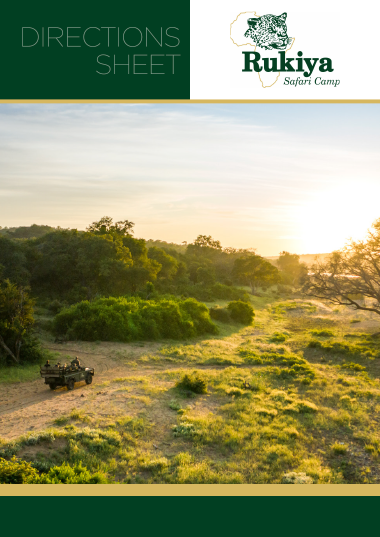 The camp itself lies on the banks of the Blyde River only 500m upstream from the confluence of the significant Blyde and Olifants Rivers. The reserve is home to an array of wildlife species and phenomenal birdlife; it has a mountain view and the presence of water, which makes it a magnificent spot in the bush. The local Hoedspruit airport is only 45-minutes’ drive away, making it an easily accessible yet remote safari experience.